Paris – This Tuesday, a Malian militant was accused of war crimes by prosecutors at the International Criminal Court (ICC). Ahmad Al Faqi Al Mahdi, a jihadist militant that was part of Al Qaeda is facing international war crimes for destroying, in 2012, a historic Muslim shrines in Timbuktu that were protected as a World Heritage Site. Ahmad Al Faqi Al Mahdi, according to prosecutor Fatou Bensouda, led the destruction of 10 shrines around the town of Timbuktu, located at the southern edge of the Sahara desert. This town has gained fame as an ancient trading crossroads and prominence since it was a vital center of Islamic learning from the 15th Century to the 17th. “We must stand up to the destruction and defacing of our common heritage” – Said prosecutor Bensouda, “Humanity’s collective consciousness was shocked by the destruction of these sites. Such an attack must not go unpunished.” She insisted. 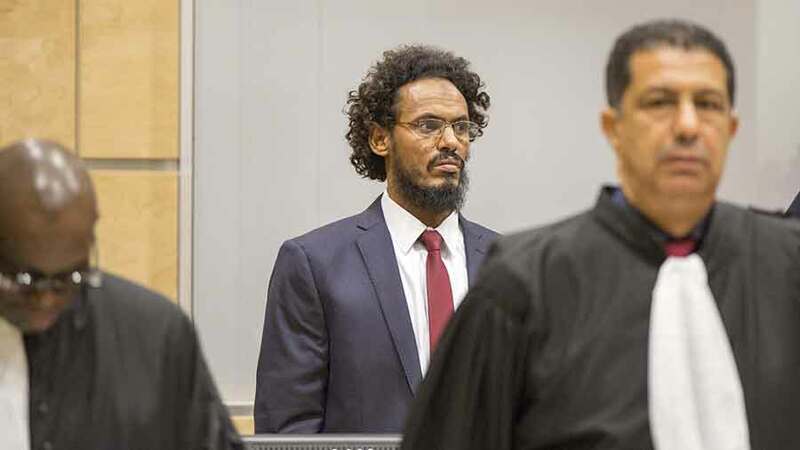 Al Mahdi is the first militant to appear before the Court and the first person to face a single war crime charge for an attack on a global cultural monument. The razed sites were intrinsic to religious practices, they were part of the city’s history and were not military objectives, said Fatou Bensouda. Regarding the fact that Al Mahdi, as the leader of Hisbah, the new morality police. Ordered and demolished this historical sites on the view that they were used as idolatry places. Ahmad Al Faqi’s hearing is centered around making cultural destruction a punishable crime. Although is not new for the international law, The United Nations tribunal has established after multiple trials and extensive jurisprudence to treat plundering and bombing of cultural sites as war crimes and crimes against humanity. Directly linked to Serbian ethnic cleansing in Bosnia, that resulted in 1000 mosques and churches destroyed. Mr Mahdi, was apprehended by French troops back in 2013 while traveling with other armed islamists forces in the desert around Niger. Net to hundreds of other forces that fled when it was announced that French forces were arriving in Timbuktu. The men that demolish the site in 2012, with Al Faqi are now considered dead, according to the prosecutors, but gave no further details. During the hearing, Ahmad’s portrait was filled and they said that he was originally from Timbuktu. He worked as a school teacher and had great religious knowledge. He spend some time in Libya and Saudi Arabia. He then joined Ansar Dine, an islamist group allied with Al Qaeda, also known as “Al Qaeda in the Islamic Maghreb”, while overrunning Timbuktu and other towns located in Mali. He was asked in 2012 to lead Hisbah because of the popularity he gained in his community. Hisbah, is better known in this area for the fear they cause to civilians. While carrying guns and patrolling the cities, men and women that were found in illegal activities were convicted to public and extreme punishments. That include amputation and death stoning. After the hearing, a panel of judges must decide if the prosecution’s evidence against Ahmad Al Faqi Al Mahdi is enough to bring him to trial.